TA Restaurant Group, a multi-brand franchisee and franchisor, is a division of TravelCenters of America, a Fortune 500 company that offers diesel and gasoline fueling, restaurants, truck repair facilities, convenience stores, and other services in 43 states and Canada. TA opened its first restaurant in 1967 and today includes more than 850 QSR concepts, full-service restaurants, and other food outlets, including multiple proprietary restaurant brands such as Iron Skillet and Country Pride. In 2016, we added Quaker Steak & Lube to our growing family of brands. TA Restaurant Group began franchising in 1994 with our first Subway franchise. Since then we have grown into one of the country's largest multi-unit operators, expanding our franchise network substantially to include more than 600 units with nearly 40 different foodservice concepts across the country. Since 2014, we've added 11 brands to our portfolio, and we're accelerating this momentum even more over the next several years. When looking for the right partner, we spend a significant amount of time researching and analyzing emerging brands, whether or not we have history with them, with the ultimate goal of filling taste profiles or concepts we currently don't operate or offer. Our overall growth strategy is to identify opportunities where we have the skills and knowledge to own and operate businesses that focus on entirely new customer segments. That's why, when we had the opportunity to acquire Quaker Steak & Lube in 2015, we didn't think twice. The acquisition is a perfect example of our growth strategy, as it gave us the chance to tap into an entirely new demographic. When the 43-year old brand filed for bankruptcy protection in 2015, we saw it as an opportunity to not only broaden our current portfolio, but also to leverage our deep experience as a multi-unit restaurant operator and make our first foray into the world of franchising a standalone full-service restaurant concept and grow Quaker Steak into a nationally recognized brand through franchising. While we've just begun this journey--and know we have a long way to go to reach our goal--we're confident in the strength of both our strategy and the brand. The Lube is a one-of-a-kind concept with unlimited growth potential that we're excited to tap into. The restaurant industry is constantly evolving, so it's important that we do as well. Our experience has shown us that brands do not grow by themselves: they require nurturing, attention, investment, and refinement. Since taking the reins, we've put new processes in place in an effort to reinvigorate Quaker Steak & Lube across the board, propelled by the addition of a new executive chef, Lance Matthews, and a new beverage program manager, Shannon Salupo. While we're still serving up award-winning wings, burgers, and ribs, we've expanded the menu to incorporate bolder flavors and offerings that cater to the wants and needs of today's modern consumer. We're set to debut new salads featuring ingredients you wouldn't usually find at your typical family casual restaurants, like roasted beets and sumac berry spice. Additionally, we've taken many of our existing menu offerings up a notch, including adding fresh Wisconsin cheese curds, introducing a new homemade mac'n'cheese dish topped with multiple proteins, and redeveloped our popular Premium Pretzels. Also, with "steak" literally the brand's middle name, we're also expanding our steak offerings. At the end of the day, our food is what keeps Lubies coming back for more, so we're doing all we can to invest in our product. We're also evolving the brand's restaurant design, putting a renewed focus on providing more flexible, non-traditional build-outs for franchisees to allow more aggressive growth in stadiums, colleges, kiosks, and airports. Using our experience and perspective as both a franchisor and multi-brand franchisee, we're ready to expand Quaker Steak & Lube across the U.S. We've expanded the brand's operations and infrastructure to provide an invaluable support system for both new and existing franchisees, who are reporting an average unit volume of $2.95 million--higher than many other casual dining concepts. One of the brand's strongest selling points for franchisees is its multiple revenue streams, including to-go and pickup window orders, and retail products such as our award-winning sauces and Lube memorabilia. Recently, we've begun to expand our catering capabilities with the introduction of food trailers, allowing us to fulfill off-premise catering orders. The restaurants also provide an ideal space for indoor and outdoor events. We've also started testing delivery in certain markets to cater to the demands of today's consumer and stay current with technological advancements. We're more than just a franchisor of Quaker Steak & Lube: we believe in the brand and are investing in it alongside our franchise network. We recently opened our first corporate location in Columbia, S.C., at the newly constructed Petro Stopping Center, a full-service travel center. The new location showcases all the changes we've made to the brand with a patio, two bars, and the ability to host more than 250 guests. Since opening in early 2017, the Columbia location has been a huge success. Between TravelCenters of America's in-depth experience and vast resources and Quaker Steak & Lube's loyal following, the brand is gearing up for aggressive growth. 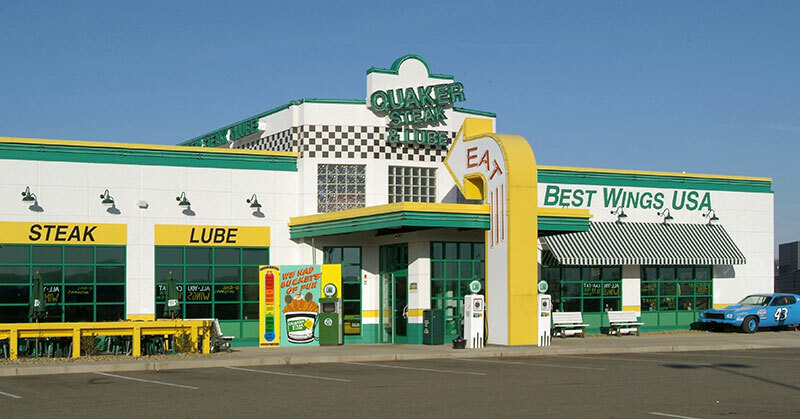 We're on track to re-introduce loyal Lubies and new fans alike to the new Quaker Steak & Lube, and look forward to taking The Lube to new heights in the coming years through national expansion. John Ponczoch is senior vice president of TravelCenters of America and head of TA Restaurant Group.